Gov. Greg Abbott defended his decision to have the Texas State Guard monitor a military training exercise known as Jade Helm 15. He said his office is simply looking to serve as a "communication facilitator" between the military and concerned citizens. Gov. Greg Abbott on Monday defended his decision to have the Texas State Guard monitor a military training exercise that has riled conspiracy theorists, denying he has lent credence to their suspicions. Instead, Abbott said his office is simply looking to serve as a "communication facilitator" between the military and concerned citizens, some of whom recently packed an information session in Bastrop County about the exercise, known as Jade Helm 15. The next day, Abbott sent a letter to the State Guard asking it to keep an eye on the operation so that "Texans know their safety, constitutional rights, private property rights and civil liberties will not be infringed." 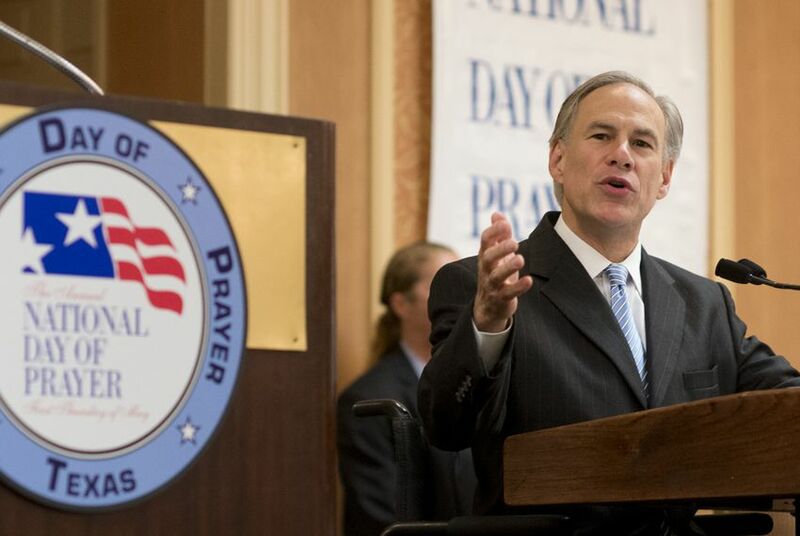 "We are playing a pivotal role of government and that is to provide information to people who have questions," Abbott told reporters Monday following a prayer breakfast in North Austin. "It's clear that people in Bastrop had questions." Conspiracy theorists have speculated that the exercise — which spans several states and is scheduled to start this summer — is a covert effort to institute martial law. But Abbott said he has "seen nothing that would cause anybody to worry about what is going on." Abbott has nonetheless taken some heat for getting the State Guard involved. Democrats have questioned whether he trusts the military, while some Republicans — including former Lt. Gov. David Dewhurst — have spoken out in support of the exercise. One of them, former state Rep. Todd Smith, has accused Abbott of "pandering to idiots." “I frankly think that there was an overreaction to the simple fact that someone has to be in charge of gathering and disseminating information and we stepped in to play that role, which is a role to be applauded," Abbott told reporters. “What the letter did was quite simple and non-inflammatory, and I think that’s the way it should be construed," added Abbott, who had a copy of the letter as he addressed reporters.